The latest Mandalorian arc of Star Wars Rebels has come and gone, and as it leaves, so does Sabine Wren, the Mandalorian member of the team. The second-youngest Ghost crewmember decided at the end of the episode to stay with her family, work to free Mandalore, free her father, and find someone worthy of wielding the Darksaber as the new leader of Mandalore. "I'm not Mandalore's leader, but I'll find the person who is," Sabine tells Fenn Rau at the end of the episode. If that's not a classic Joseph Campbell "Call to Action," I don't know what is. 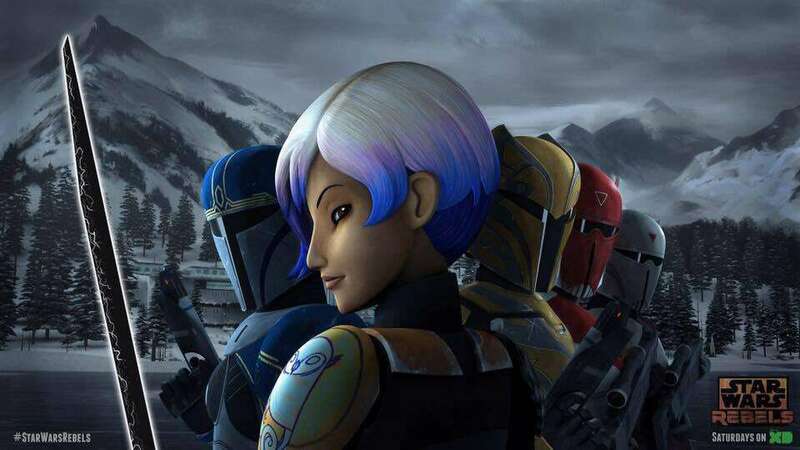 But when Sabine says that, it's impossible for longtime fans of Lucasfilm Animation, who have been following the adventures since Star Wars: The Clone Wars, to not think of one Mando in particular: Bo-Katan Kryze. The sister of Satine Kryze, the one-that-got-away from Obi-Wan Kenobi, Bo-Katan has natural leadership skills, ties to the ruling families of Mandalore, and her established history with this world certainly raises her chances, as well. It doesn't hurt that voice actress Katee Sackhoff let it slip that she was returning to the character last year, something that Lucasfilm has never officially acknowledged. 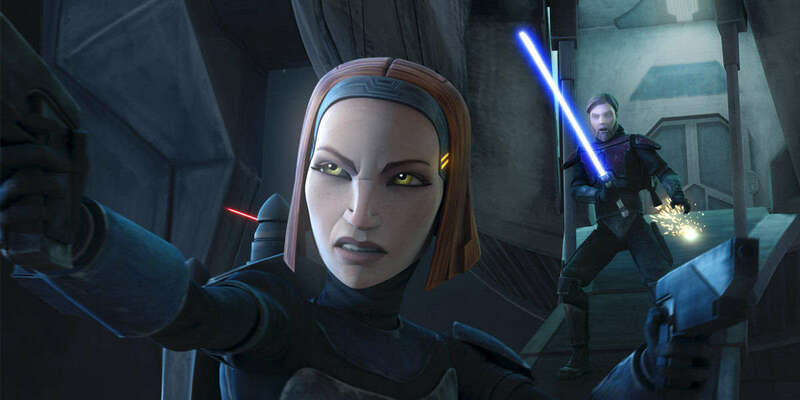 While speaking with Rebels showrunner (and co-creator of the character) Dave Filoni, ComicBook.com mentioned that Bo-Katan would probably be on a lot of fans' minds this week. "Yeah, possibly. I don't know why they would [be thinking about her]," he said with a laugh. "But yeah, it's great. What's fun for me is that a lot of these references, and even these situations, they all stem from characters that have been created on our animated series, both Clone Wars and Rebels. The fan-base really surprises me more and more as they are so aware of it all." Filoni leads fans to characters like these, and loves that it's the younger fans in particular who start thinking about a character like Bo-Katan, where the older fans are fishing for deeper bits of lore and references to obscure Expanded Universe terminology. "As those kids that watched Clone Wars have grown up, they have a really vast vocabulary and knowledge of that show. It being on Netflix hasn't hurt it at all either that way. So Bo-Katan, it's probably more a foreign character to the older fans, but it definitely speaks to a lot of groups of younger fans of people that are into Star Wars," said Filoni. So does this mean Bo-Katan is on the way? Well, Filoni recently said to Nerdist that in his original outline of her story on The Clone Wars, she'd become the ruling member of Mandalorian culture. That sounds like some significant foreshadowing. Everything they've done on the show has meant to include nods to and from the past. "It opens up exciting opportunities, and that's kind of what Sabine has done in ways that I don't think any of us in the story group really imagined is that you think this will be Ezra's show, and Ezra and Kanan, but that character just kept rising in prominence. The reaction to the character was so strong that it just kind of snowballed. We thought, 'Well, let's really get into defining this.' Tiya [Sircar] has always been able to deliver at a very high level performance-wise for the characters. It's really become something all in its own." And while Sabine left the Ghost crew, Filoni did say he doesn't think her story is over. "It's very possible that we haven't seen the last of [Sabine]," he said pretty definitively. "For Sabine, hopefully the adventure will continue. That would be great because then we can change her hair again," he said with a chuckle. 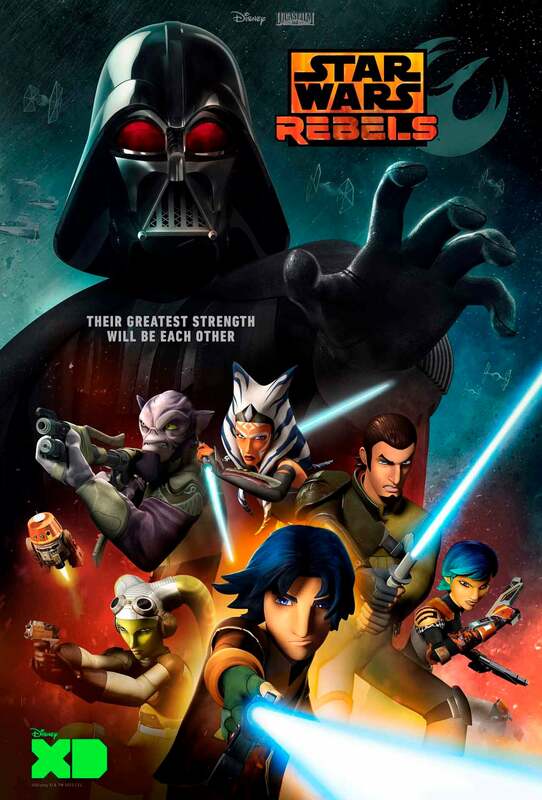 Star Wars Rebels airs Saturdays at 8:30 p.m. ET/PT on Disney XD. You can catch up anytime on demand, or on the WatchDisneyXD website or app.